Swastikas were painted overnight on a Stockholm high school with a Jewish curriculum and on another one attended by many ethnic minority students, school authorities said Monday to AFP. 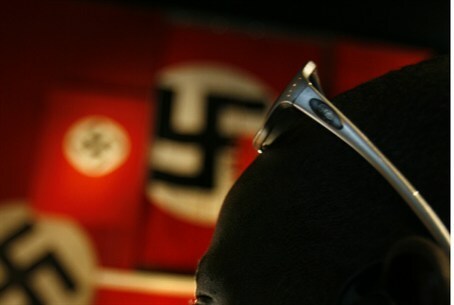 The Vasa Real school, which offers classes in Jewish studies and Hebrew, was emblazoned with pink and blue swastikas and anti-Semitic slogans, including "disgusting Jews" and the white supremacist insignia "1488," school authorities said. "During the night several walls were sprayed with racist markings," police added in a statement. Pictures of the vandalism were circulating on social media Monday. The attack was "horrible and unacceptable," tweeted the local council's school director Johanna Engman, as the graffiti was removed on Monday morning. 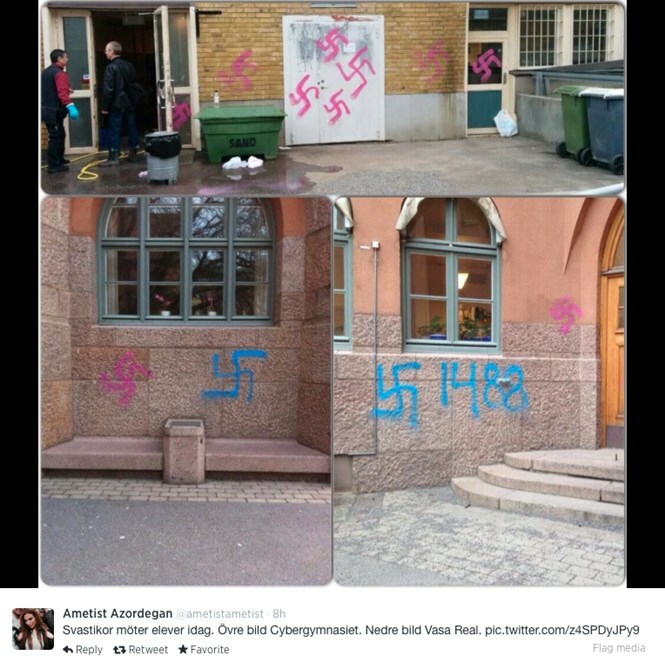 Swastikas were also daubed on a nearby high school in Stockholm with a high proportion of ethnic minority students, school authorities said. "It's particularly sad because many come to our school precisely because we reflect how Swedish society looks today," a spokeswoman for Cybergymnasium high school, Marlene Terkowsky, told newspaper Metro. 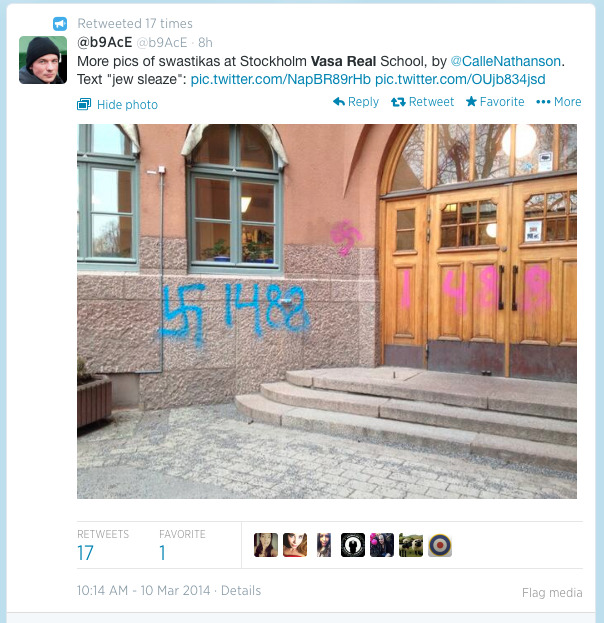 In January, a Stockholm mosque was also targeted by neo-Nazis, who painted black swastikas on the entrance. That same month, the European Union Agency for Fundamental Rights released statistics revealing skyrocketing anti-Semitism in Europe. Some 66% of European Jews have said that over the past year, anti-Semitism has significantly impacted their lives. Members of a Swedish Neo-Nazi group are currently on trial in Stockholm for attacking a peaceful anti-racist demonstration in a Stockholm suburb which was held to protest against an uptick in swastikas being painted on walls in the area.